WITH their first album Step One, Steps established their name in the music scene selling 4X Platinum in the UK alone. Their hit singles 5,6,7,8, Last Thing On Mind, Better Best Forgotten, Loves Got A Hold On My Heart and After The Love Has Gone were frenetically celebrated by young audiences all over the globe. In September, 1999, the cover version Beegees Tragedy  the ultimate dance track that immediately joined the top music charts  heralded the second album, Steptacular. After an year of hard work, the group is presenting itself as more mature and experienced. The new album is also a successful mix of all the different styles in pop music. Steps stands apart from the cliched picture of the typical pop group even more than ever did because their musical spectrum is widening day by day. The album also showcases Steps as a group as well as individuals  Faye, Lisa, Claire and H each have solo songs to exhibit their vocal capability. Movin on takes over the original Bananarama sentiment. Make It Easy On Me shows the sensitive side of Lisa, while on the wonderful duet When I Said Goodbye both H and Claire share the heartache that comes with goodbyes. I Surrender and My Best Friends Girl brings out the brightest colours of Steps. A spectacularly Steptacular album. The fourth studio album from probably the heaviest band sees the lively fivepiece delivering more well-drilled, very mean rock. Mechanically efficient drum tattoos underpin a plethora of beefy riffs, while vocalist Jonathan Davis still prefers to growl rather than sing, making it his signature style, for added power. Some of the unforgettably named James and Brians guitar tracks are undeniably alluring, but Korn generally sounds like an old dog refusing to learn new tricks, retreading ground better explored on previous albums. But who cares, you definitely cant tame a metal band like Korn. The notable exception? A curiously Pantera-like suicide note. A comfortable level of success in America for such unrelenting music hasnt made Korn any happier, so its a lyric cocktail of hate, corruption, self-loathing and suicide all the way. The album kicks off with a mellow humming which grows out to be the heavy Dead Other powerful fireworks include Falling Away From Me, 4U, Beg For Me, Its Gonna Go Away, Am I Going Crazy and Somebody Someone. 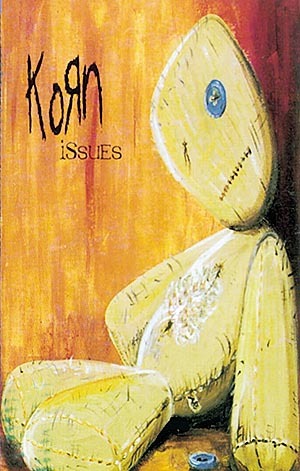 However the track Dirty steals the show with Jonathan at his best, announcing that Korn still rules. Their 1997 self-titled debut album sold an astonishing 11 million copies. Savage G ardens soppy pop-hooked songs won them instant recognition in the music world. They produced mega-hit tracks like I Want You, Truly Madly Deeply and To The Moon And Back. The second album from this Australian duo is no exception, The album strikes a perfect balance between sunny pop and dusky emotions. 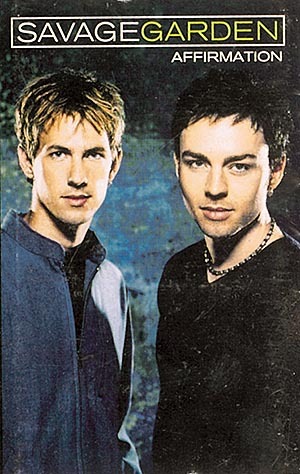 Produced by the Grammy-winning Walter Afanasieff (Celine Dion, Ricky Martin, Michael Bolton, Mariah Carey), Affirmation is the result of Hayes wounded tenor and Daniel Jones poptastic tunes. Among the tracks on the album is the opener I Knew I Loved You, a scintillating ballad, with lyrics like "I think Ive found my best friend/ I know that it might sound more than a little crazy but I believe/ I knew Iloved you before I met you/ I think I dreamed you into life." Other tracks worth listening to are Two Beds and A coffee Machine, a tragic piano-based take on spousal abuse; The Animal song included on the soundtrack to the latest Diane Keaton/ Juliette Lewis film The Other Sister and I Dont Know You Anymore, talking about a broken relationship. An intimate encounter with love and despair at the same time. The story of J, Abs, Ritchie, Scott and Sean began with their self-titled debut album in 1998 giving us mega hits like When The Lights Go Out and Slam Dunk Da Funk. The journey that led to Five releasing their second album, Invincible, has been one full of surprise, inspiration and a growing belief in their own unique vocal and musical abilities. From the disco throb of If Ya Gettin Down through the R&B attack to Two Sides To Every Story, this 14 track album is passionate and exciting. Dont Wanna Let You Go is sure to win the hearts of all their female fans. Serious offers a taste of eighties funk. Theres also Mr Z which was only written as a joke, but turned out to be a sure-shot hit track. The title track is a typical Fiver, featuring Sean on piano. Unlike many other boy bands, Five is no one-hit wonder. It has musical wiz lads, all set to take the music world by storm  check them out! No other album could have marked the birth of the new millennium with such a bang. Were talking about Woodstock 99, undoubtedly the biggest explosion on the rock world. 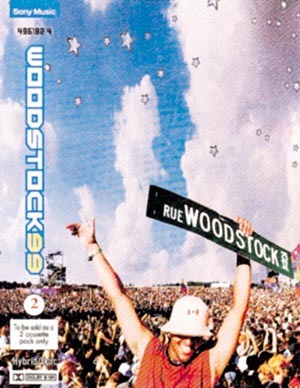 Despite the negative and ugly end of this rock festival, Woodstock 99 managed to make quite an impact on the rock circuit with performances by some of the most power-packed acts on earth. The two-album set gives you quite a feeling of the Woodstock magic right in your living room. Album one opens up with Korn doing their hit Blind. Its amazing to hear how singer Jonathan Davis Bursts out howling "Are You Ready?" The Offspring blasts off with The Kids Arent Alright, Buckcherrys Lit Up, Kid Rocks Bawitdaba, Limp Bizkits Show Me What You Got offer some real arena-rock hooks. Rage Against Machine are at their best with the super hit Bulls On Parade. The ol Woodstock residents Metallica take over the stage with Creeping Death. The highlights here remains performances by The Doors guitarist Robby Kreiger with Creed doing Roadhouse Blues. There is the loaded Megadeath with Secret Place. Bush offers their typical stuff with Everything Zen, followed by Live doing I Alone. Theres also a spoken interlude before the Red Hot Chilli Peppers performing Jimi Hendrixs Fire when one of the towers on the site actually catches fire. "Its not part of the show, it really is a problem," warns one of the organisers on the stage. The second album calms down with a mellower line-up of performances by Dave Matthews Band doing Tripping Billies, Jewel with Down So Long, Everlast doing Ends, Sheryl Crow with her hit single If It Makes You Happy, Elivis Costello with the soulful Alison, Alanis Morisette doing So Pure and Bruce Hornsby with Resting Place. The headliners here include Jamiroquais funky Black Capricorn Day and Chemical Brothers dance-anthem Block Rockin Beats. 1. Who was the first drummer for Genesis? 2. What was the last song ever sung by Bob Marley? 3. Whose speech inspired the title of Manic Street Preachers fifth album? 4. What is the latest album by Bryan Ferry called? 5. Garbage recently did a title track for which movie soundtrack? 6. When was 3Ts debut album released? 7. Kirsten Dunst appears in which Savage Garden video? 8. Who has released the new album titled Anomie & Bonhomie? 9. Billie Joe Armstrong is the lead singer for which band? 10. Complete the famous Tears For Fears phrase  "Colour all the madness, for the madness is the  "